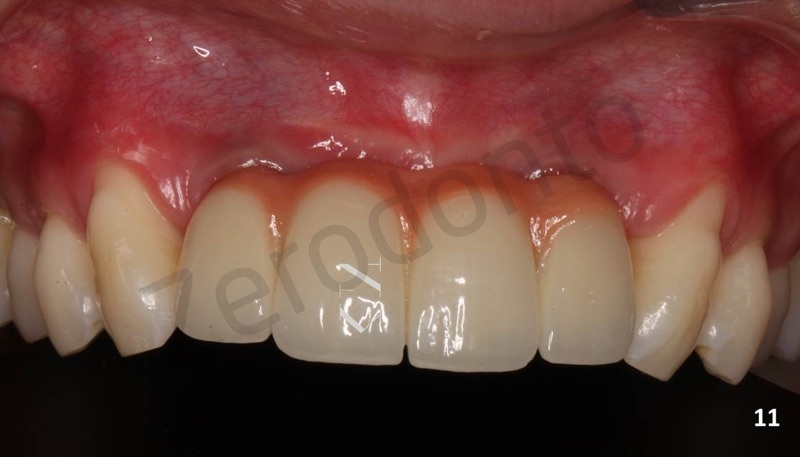 Immediate implant placement with immediate loading in a patient with Generalized Aggressive Periodontitis: 2 years follow up. 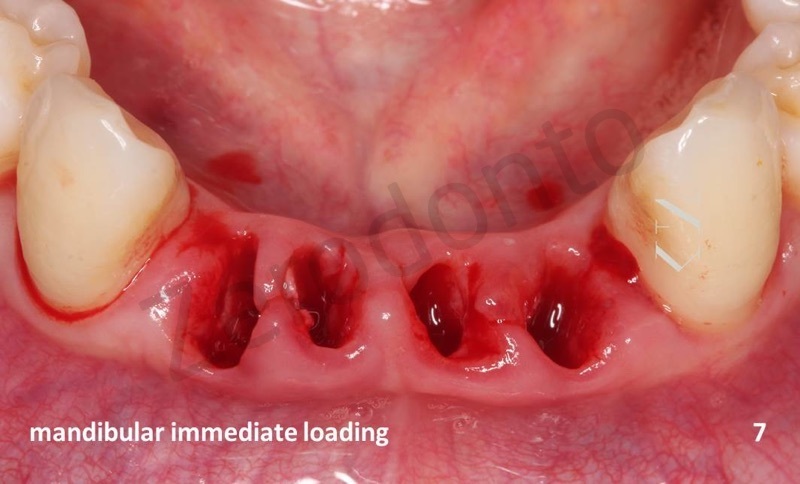 To our knowledge therebis not such an immediate placement and loading case in a generalized aggressive periodontitis patient in the literature. 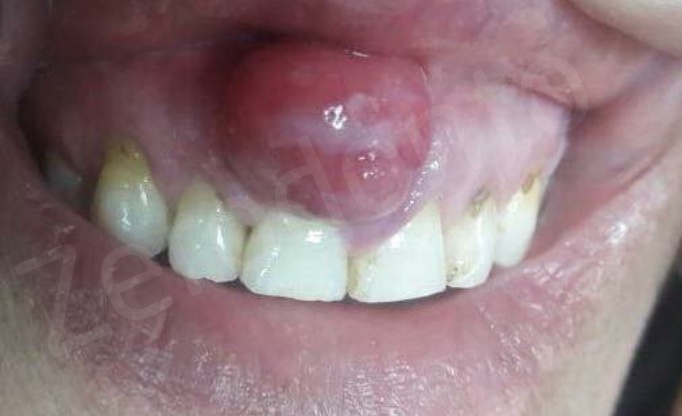 A 27 years-old, non-smoker, female patient was applied to our clinic with the complaint of tooth mobility. 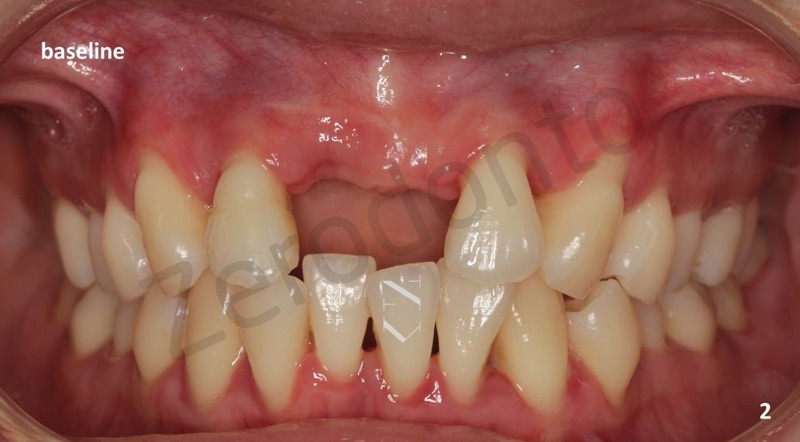 The patient was diagnosed with generalized aggressive periodontitis after clinical and radiographic examination. 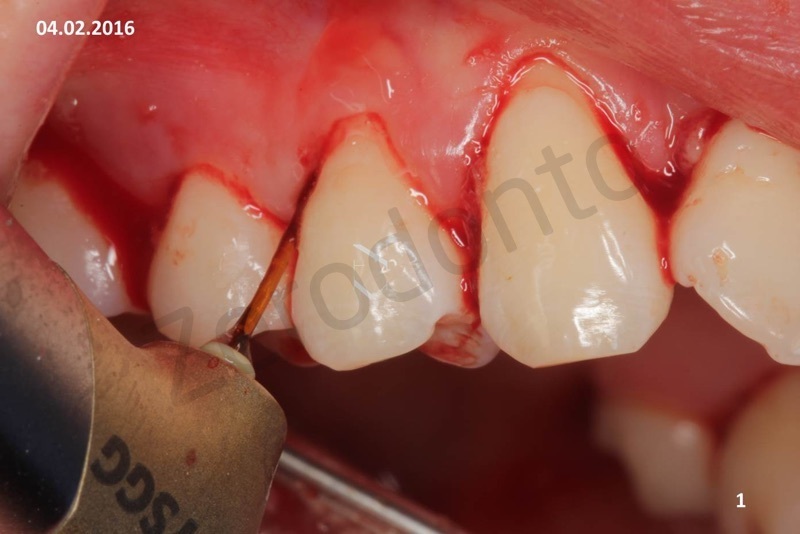 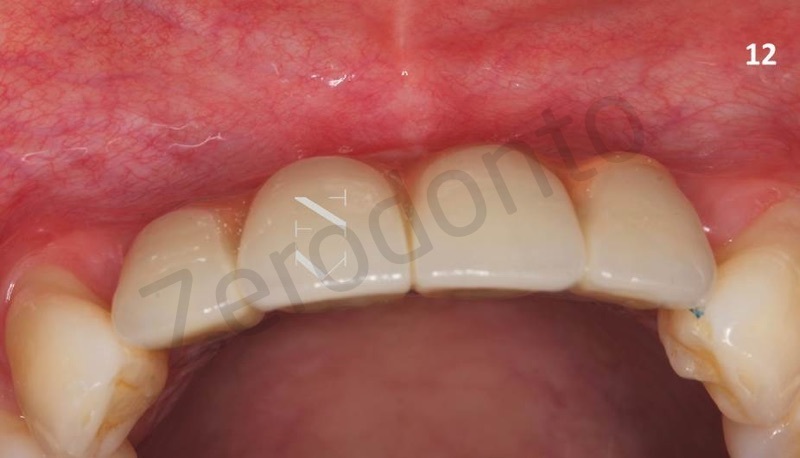 Initially, non-surgical periodontal treatment was performed using hand instruments and gracey curettes. 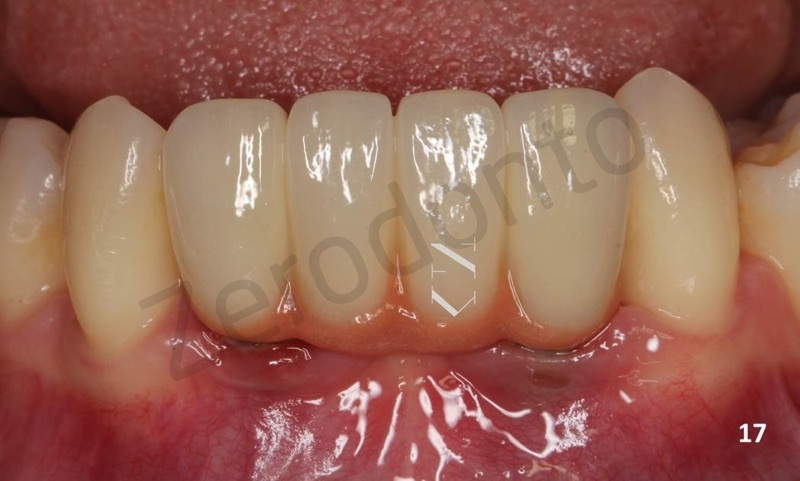 The treatment was supported with Er:Cr:YSGG laser application. 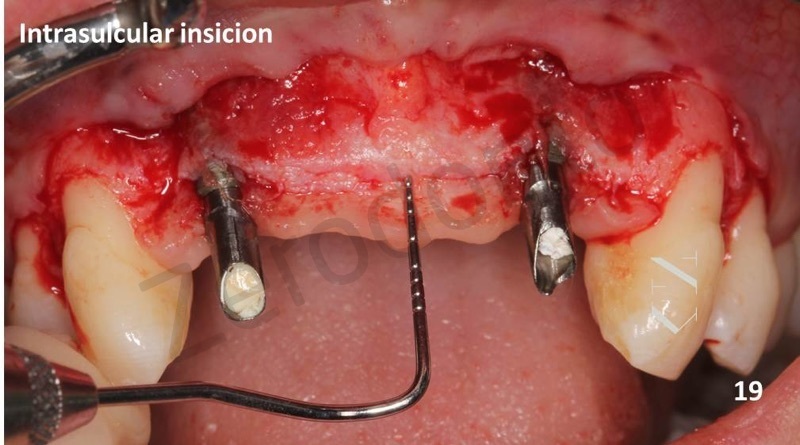 Any surgical treatment method was not applied. 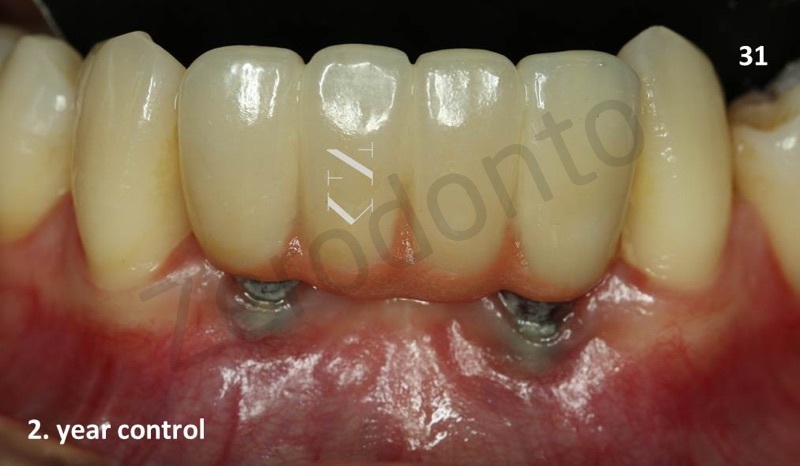 After initial periodontal treatment; the maxillary lateral incisors ( tooth # 12 and 22) were extracted, two implants (Biohorizons Tapered Internal Plus, Laser-Lok, 3,8×12 mm) were immediately placed into the fresh extraction sockets and the implants were immediately loaded with a 4-unit bridge restoration made of temporary acrylic resin material. 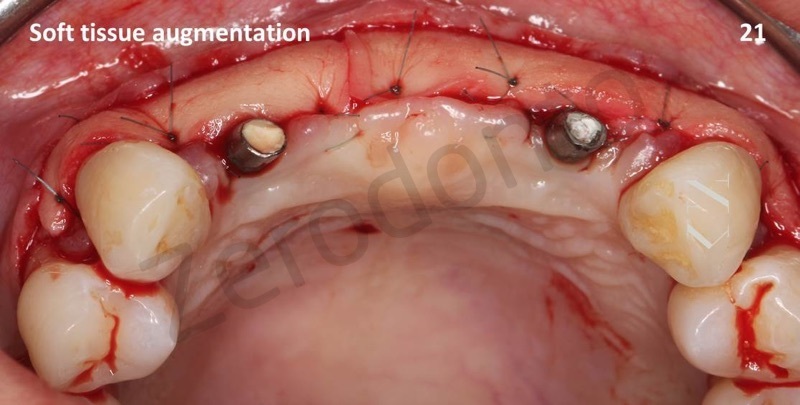 PEEK (polyether ether ketone) temporary abutments were used to support and retain the temporary bridge. 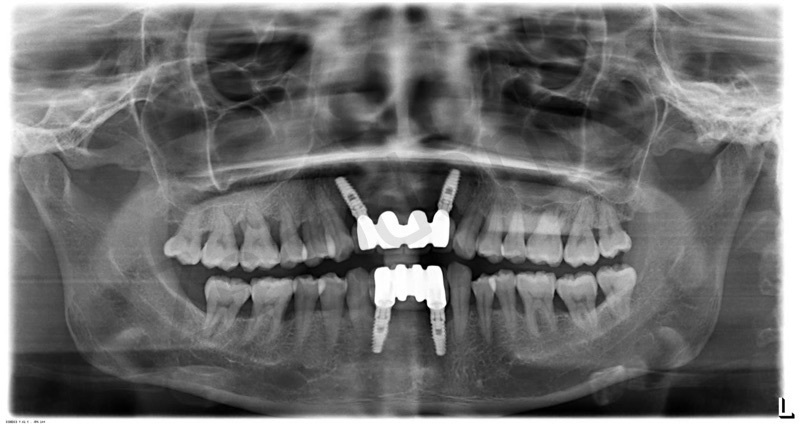 The same procedure was performed for the mandibular anterior region 3 weeks later. 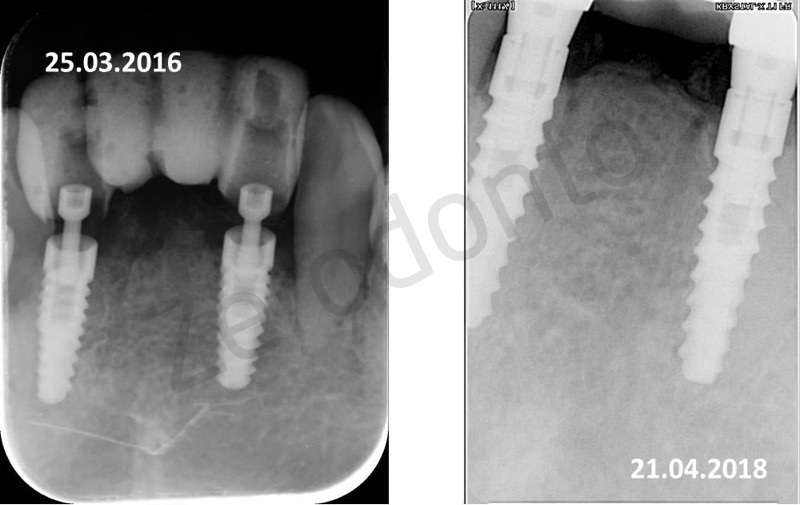 Differently, the implants preferred for mandibular lateral incisor sockets were not platform switching type(Biohorizons Tapered Internal, Laser-Lok, 3,8×12 mm). 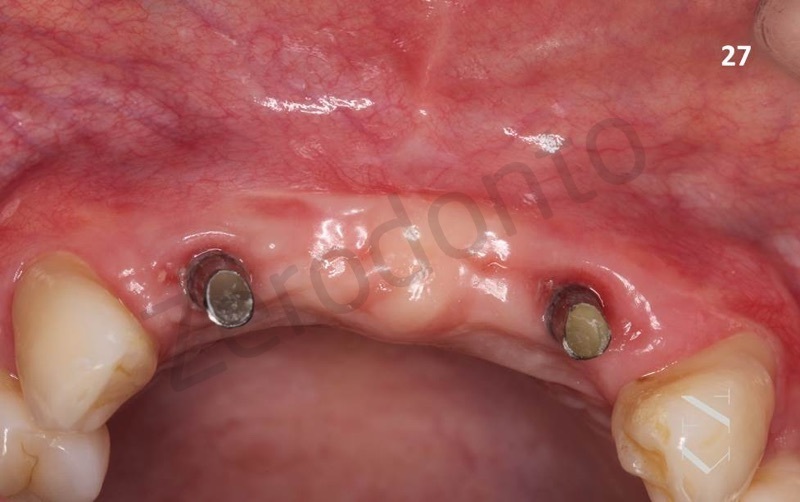 Whole implant placement procedure was performed with flapless technique. 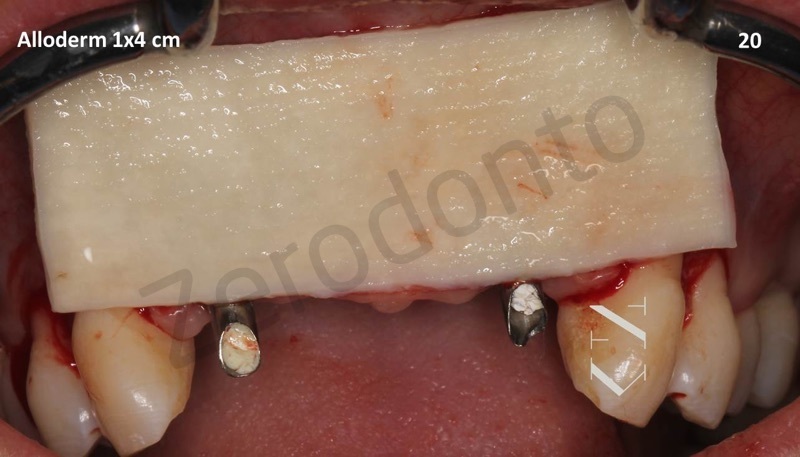 The gaps between the extraction socket walls and implant surfaces along with the extraction sockets of the teeth # 31 and 41 were filled using “mineross cancelous bone graft-autogen bone” mixture. 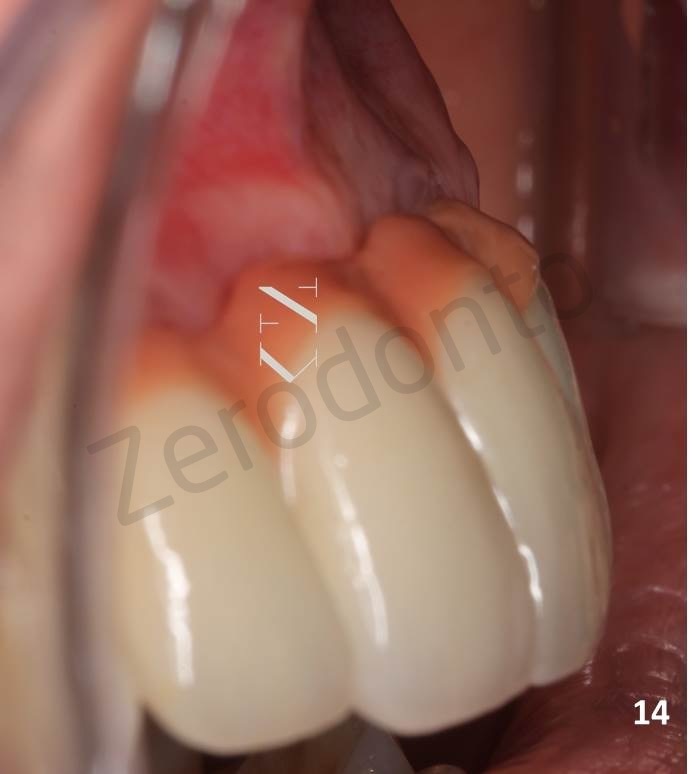 The primary stability measurement was made for all implants and primary stability values over 35N was recorded for each. 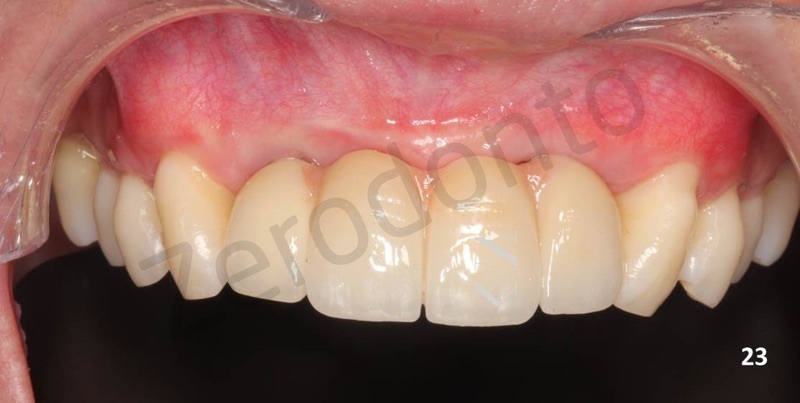 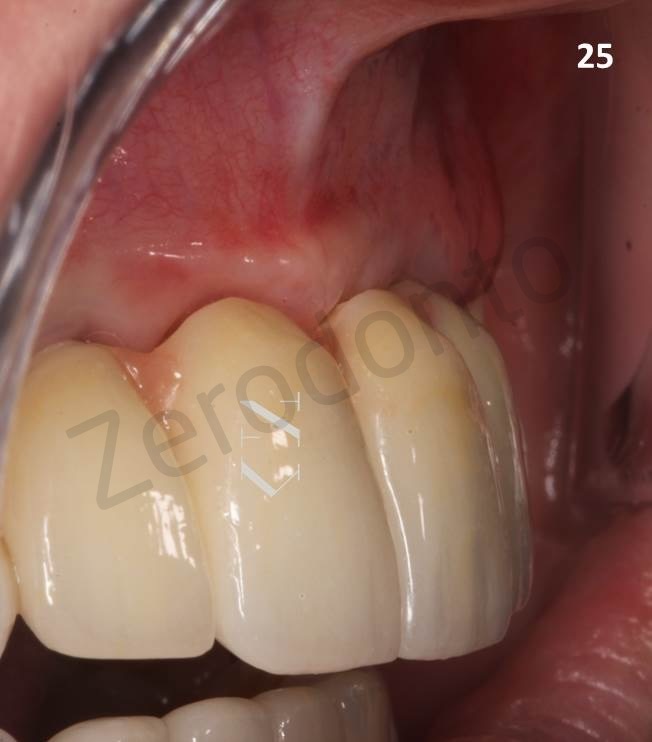 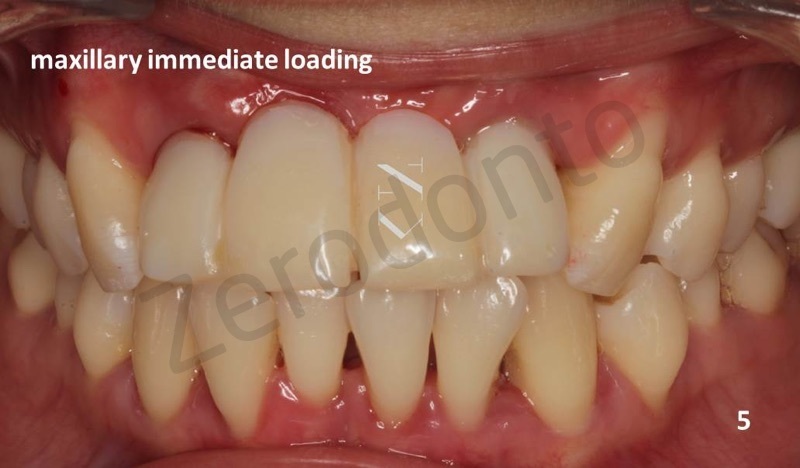 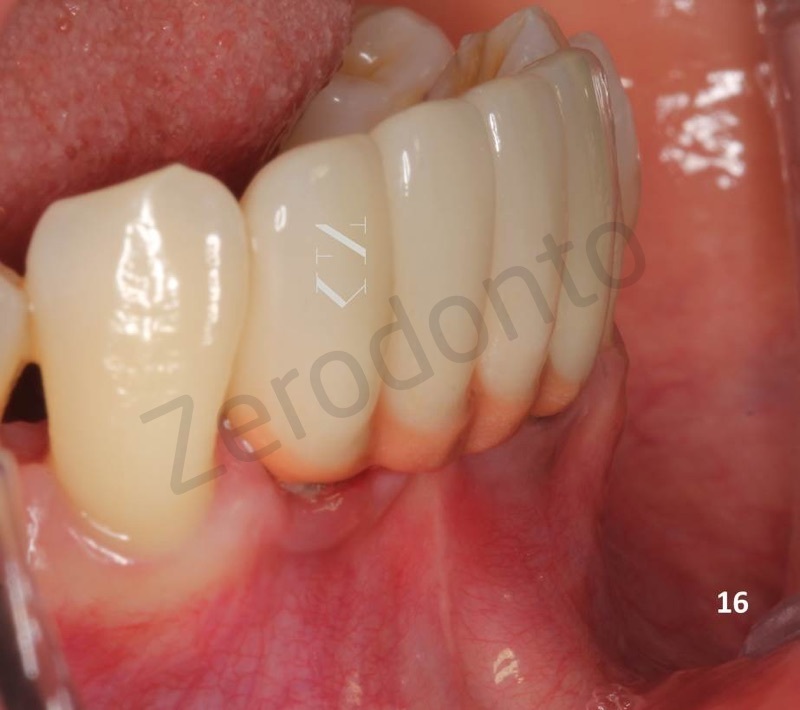 Permanent zirconia bridge restorations were fabricated 7 months after the implant placement, due to the patient related reasons. 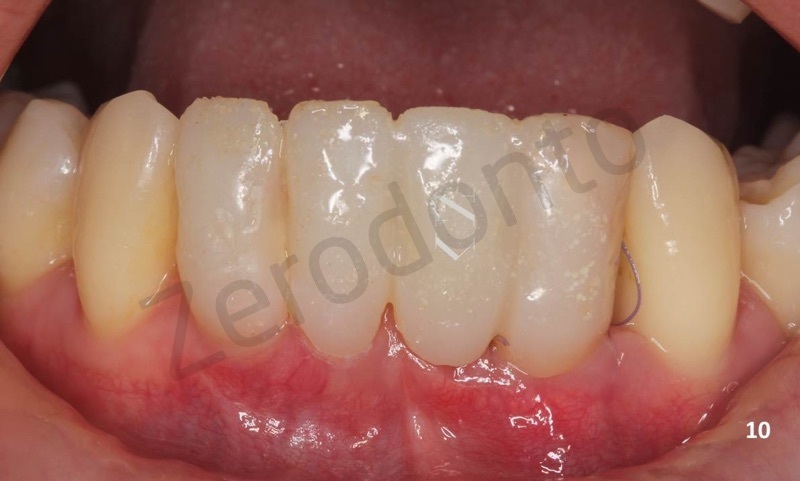 The restorations were temporarily cemented. 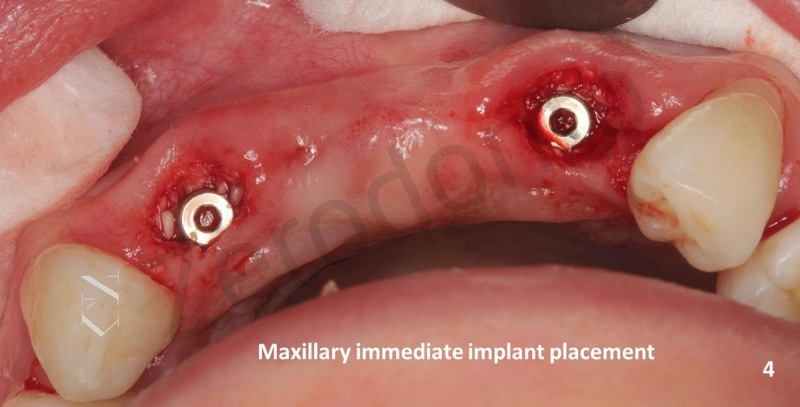 Later, requirement for soft tissue augmentation at the buccal side was observed for both maxillary and mandibular implants. 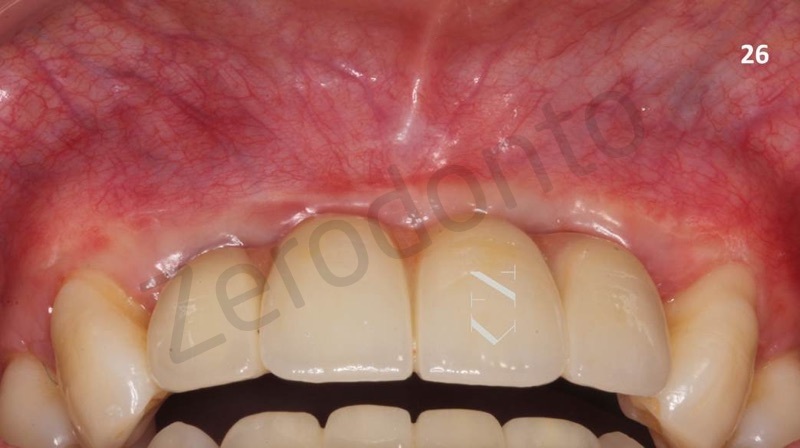 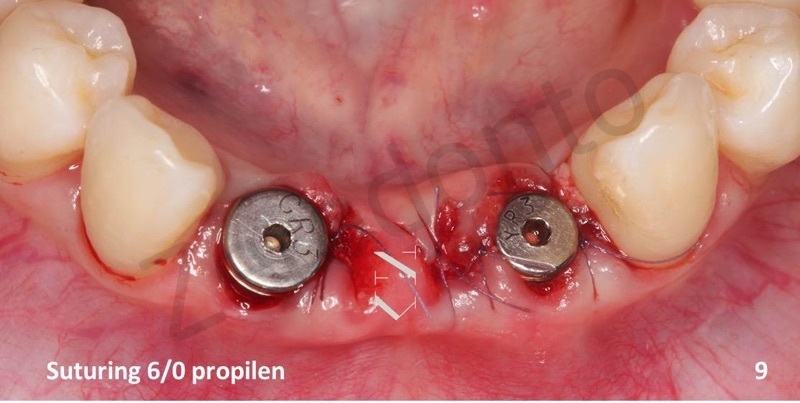 Maxillary soft tissue augmentation was performed using 1x4cm Alloderm Lifecell graft material. 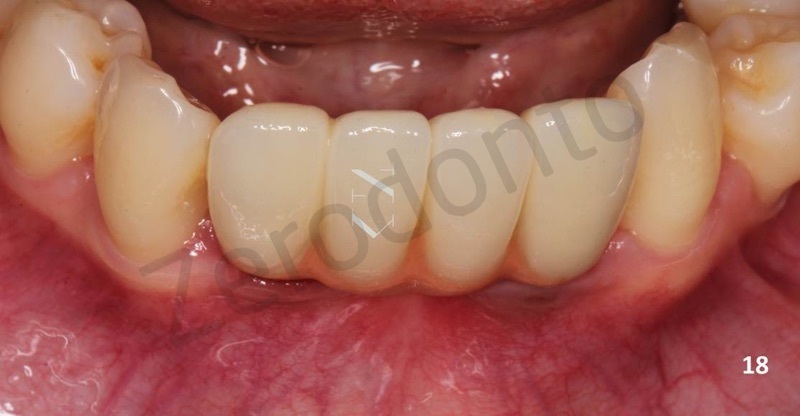 The maxillary restoration was revised for the adaptation to the new tissue contours after one week. 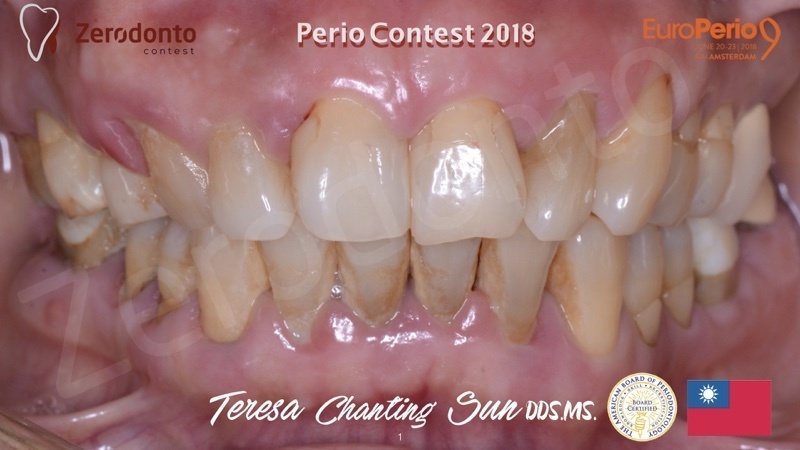 One year and two years follow-up records were made. 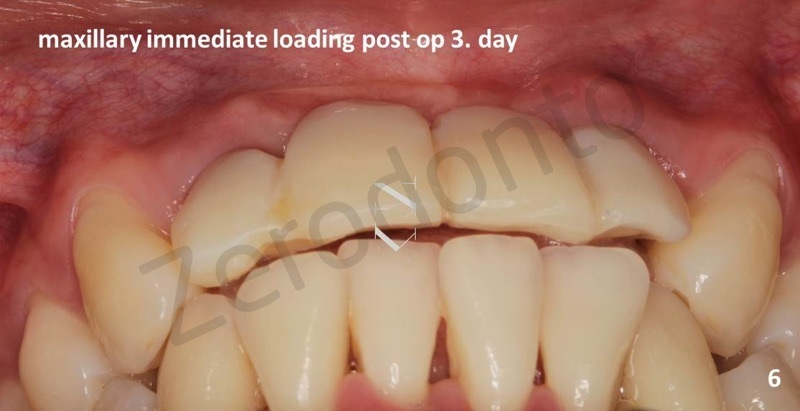 Periodontal pocket depth measurements and full-mouth disinfection procedure were done during the 2-years follow up appointment. 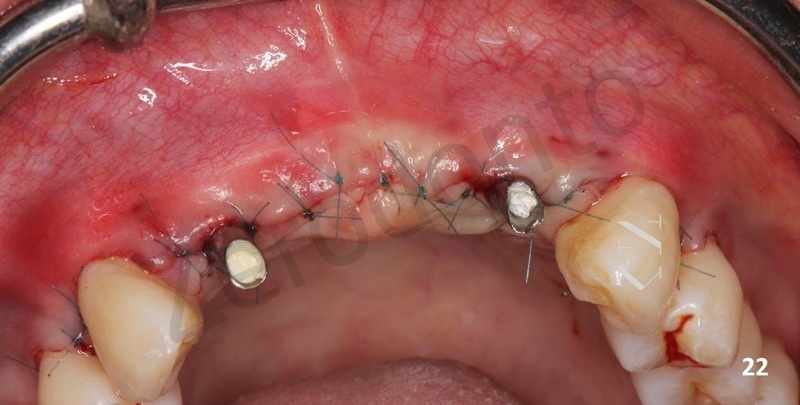 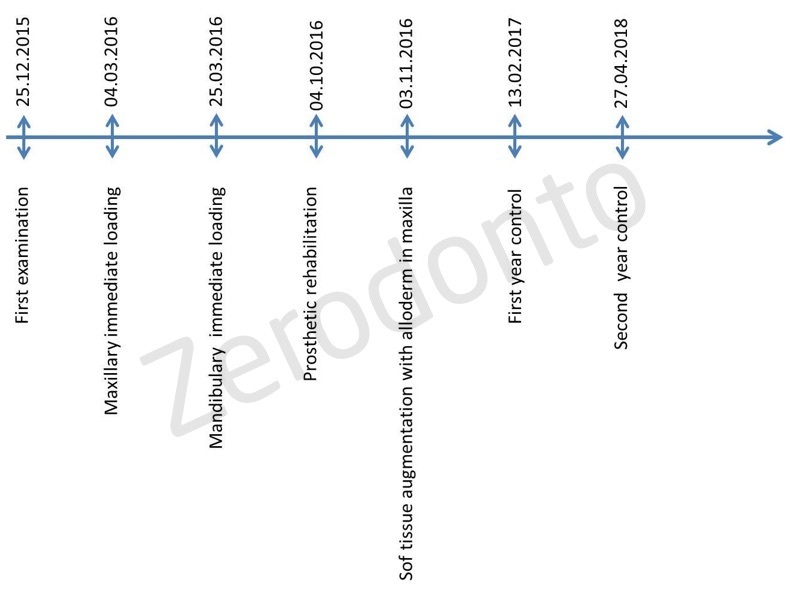 Relative resorption of the soft tissue graft and partially relapse for soft tissue augmention were detected for especially for maxillary region. 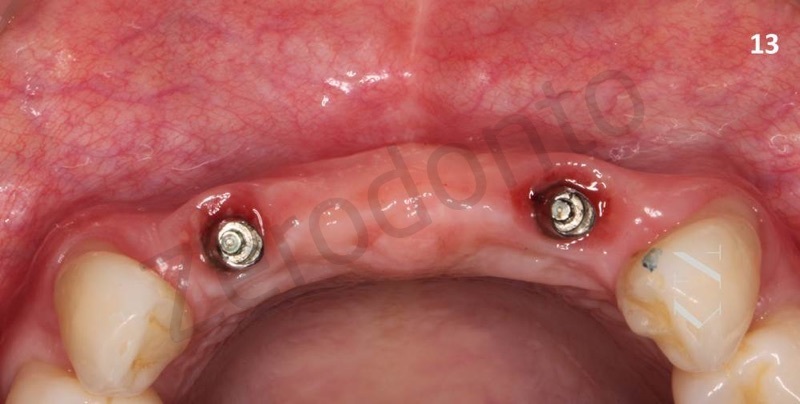 Besides, marginal bone loss around the maxillary implants was observed. 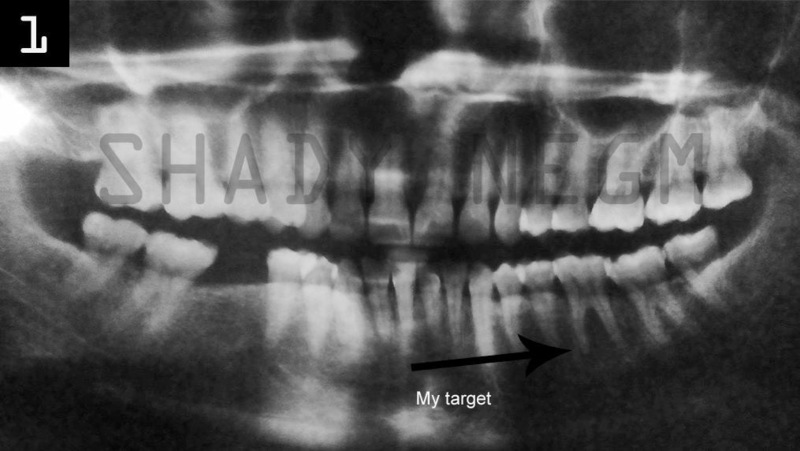 The patients is still being followed.